Wesfarmers Insurance has been an integral part of the 309 Kent St building for a number of years, and over time various fitouts have been undertaken without a real understanding of how to embed the brand or ensure overarching visual consistency. 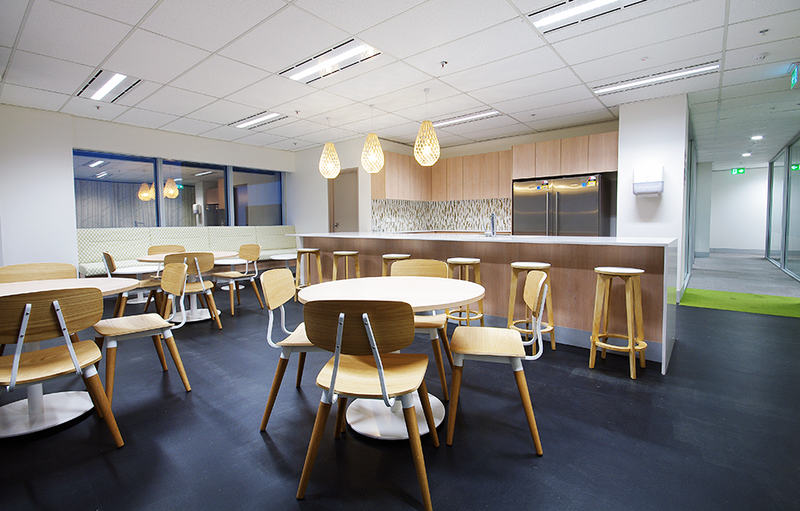 Following expansion to an additional floor in the building, the brief was to plan and implement a new concept for their office space – one that encompassed the new floor and refurbishment of three existing levels, integrating Wesfarmers brand values with imagery and finishes. The new space was also to become a workspace that embraced the new way of staff interaction – collaborative, open-plan and enhancing productivity. 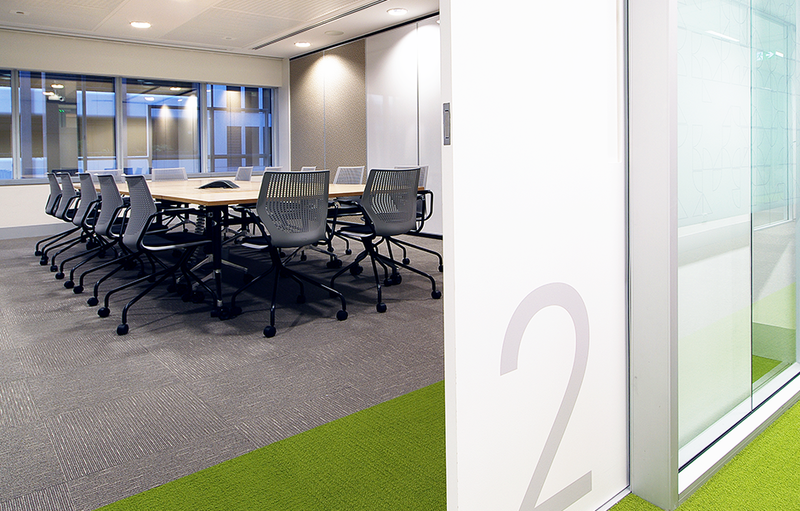 This was achieved through creating a simpler, open layout enhanced with free-form workstations, collaboration areas, breakout zones and quiet meeting corners, while a blend of natural materials, subtle finishes and and striking highlights ensured an overall engaging experience for staff. From its origins in 1914 as a Western Australian farmers’ cooperative, Wesfarmers has grown into one of Australia’s largest listed companies and employers. Its diverse business operations cover: supermarkets, department stores, home improvement and office supplies; coal mining; insurance; chemicals, energy and fertilisers; and industrial and safety products.